Here is a great summary from Social Media Today of what is mobile marketing is and how you can implement it for your small business. Pay close attention to the section that ‘What Are Some Ways You Can Use SMS Marketing?’. Helpful tips, enjoy! A new revolution is already happening in small business marketing, and it’s called SMS. The term SMS stands for “Short Message Service,” but most of us know it by its more casual name, Text Messages. At least here in the United States, “Text Message” is used more often than “SMS” but the two terms are interchangeable. SMS Marketing for small business is the latest medium to catch fire within the last few years especially. In this article, I’m going to walk you through some of the basics of SMS Marketing to help you decide if this form of targeted, personal marketing is right for you and your business. 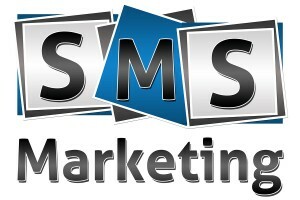 Simply put, SMS Marketing is sending messages directly to your prospects and customers via Text Message. The reason so many businesses are adding SMS to their marketing arsenal is pretty obvious — people love their phones! And more people than ever before are using cell phones and smartphones, devices pretty much guaranteed to have SMS capabilities. When you consider the cultural impact the modern “cell phone” has had, it makes sense that businesses would find a way to introduce marketing strategy. Like most forms of modern media, SMS has some important rules and limitations you should know about before you begin using it or even considering it for your small business marketing strategy. The most important thing you need to know about SMS is the character limit. Just like Twitter limits users to 140 characters per tweet, SMS is traditionally limited to 160 characters — though some SMS Marketing providers will vary in their exact limitations. But this character limit is a really important factor to consider. We already live in a world of “bite-sized” messaging, so most businesses will have no trouble adapting to the SMS environment when creating marketing messages. Should You Use SMS Marketing For Your Small Business? The short answer to this question is a resounding YES! It’s amazing how many business owners and entrepreneurs shy away from new marketing methods during their early years. There can be some advantages to waiting in the wings before jumping on board with a new marketing platform, but if you tend to be more of a “late adopter” I would recommend becoming an “early adopter” for once. In my experience with technology changes and marketing, early Adopters tend to experience the greatest benefits. Think about it for a minute — how much more of a presence on Google would you have today if you’d launched your website earlier? How many more fans would you have on Facebook if you’d launched your Facebook Fan Page earlier? I’ve yet to see anyone who tested the waters with a new form of marketing technology experience some devastating loss or major problem. The worst that usually happens is you experience some initial headaches and learning curve problems, but this is a small price to pay for getting big potential results! What Are Some Ways You Can Use SMS Marketing? Remember: marketing is really about staying in front of your customer and building a relationship. So don’t just think about “Marketing” as aggressive sales messaging. Your goal is to keep your relationship alive and to build rapport so your sales messaging will have greater impact when you do deliver it. 1. Send SMS appointment reminders. My dentist does this for all of my appointments, and I think it’s genius. Yes, this is a form of marketing. It increases the chances that I will show up for my appointment, thus increasing the chances that I will show up to pay my bill. 2. Send a weekly SMS tip. I do this for our business, and our customers love it! Just as you would send a weekly email newsletter to stay in front of your customers, a weekly SMS tip is a great way to keep that relationship alive and well. 3. Send periodic holiday and birthday messages. Your customers celebrate birthdays and holidays just like everyone else. And everyone loves getting thoughtful messages on those special days. This is a subtle form of marketing but very effective long-term. 4. Send special SMS promotion text messages. Having a special sale? Want your SMS subscribers to know about it first? This is a fantastic way to reward your SMS marketing subscribers. Send them the special deals and coupon codes before you send to anyone else! 5. Send event reminder SMS updates. Hosting a conference or other live event? You can isolate your SMS marketing subscribers by location and send them special updates about the event. You can even build engagement with them by allowing responses to your messages for voting and polls. These are just a few SMS ideas to get you started. I’m looking forward to hearing about any other ideas you have or any creative ways you’re already using SMS marketing in your business. Leave a comment below to join the discussion!